You are here: Home » “Technique saves effort,”…another ‘V’ at Coke Series #3 ‘Winter Duathlon’ + Dewa gets a V for herself and her BFF! 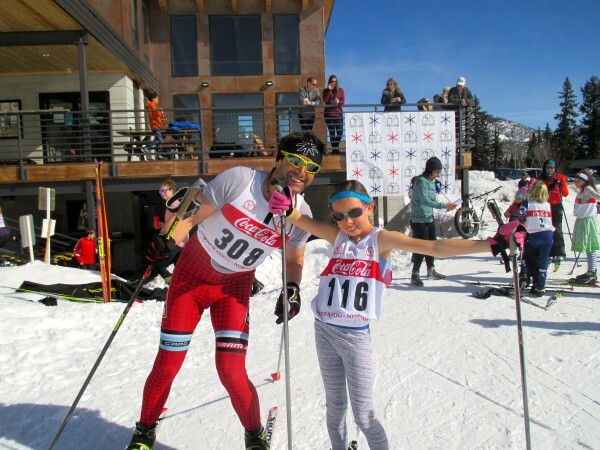 oh man, what it takes to get both yourself AND your kid to the Start Line!? phew! reckon that’ll be my warmup again! 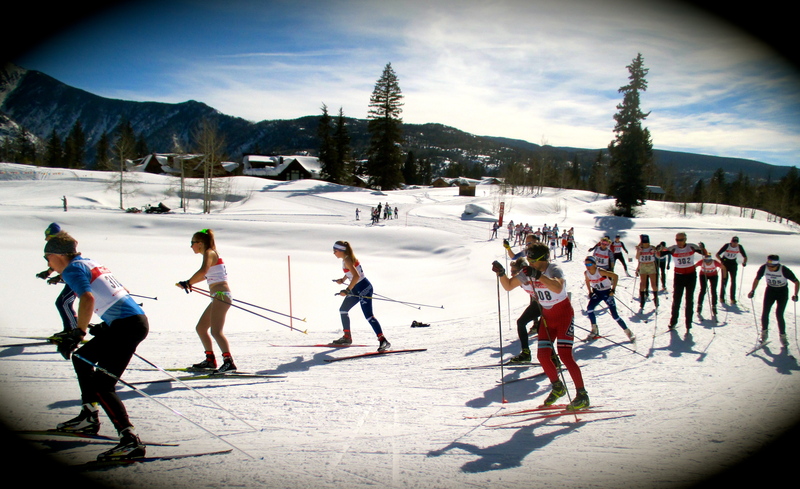 — at Durango Nordic Track. Enjoy the below for full, fun details and keep doing what it takes to Toe Those START LINES in your life! Screw mediocrity, it kills! though skate skiing is not my forté i did my best to focus without attachment on technique “Technique saves effort,” kept telling myself…2 laps which included skiing UP the normal DOWNhills of: Nortons (3.5 minute effort at 18%), Deadman’s (25%! ), and the sustained reverse grades of Bench and Aspen…total mental focus required for every ski placement, every pole placement in the changing snow/temp conditions…not any sport quite like the quixotic blend of intellect (waxing/technique) with precision kinesthetic skills (most people just fall over on the tiny, skinny skis we use while just standing up, let alone charging up and down among intensely steep terrain), brutal full body painful endurance with power for – today’s version: an hour…welcome to nordic ski racing! immediately after my 15k Skate Race, i had no time to dwell on my AG victory, for the 15k Fat Tire Race was already waiting for me…except that, today? 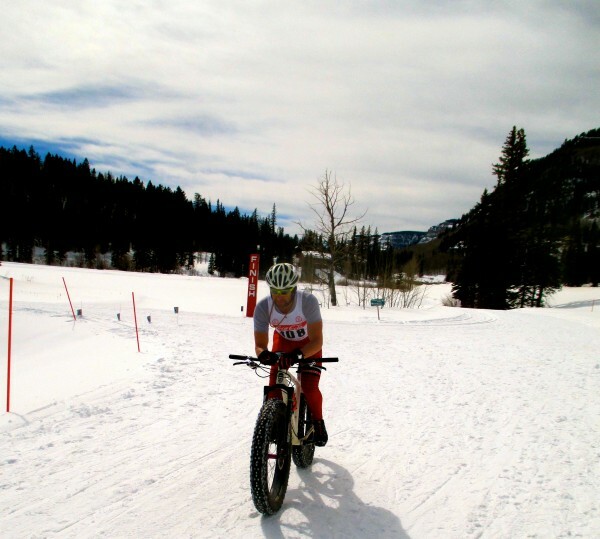 Only one other Fat Bike Racer showed up! And well, guess who it was? The very guy which i suggested show up instead of going to race in Leadville as he was planning: my bodywork client, and Olympian Travis Brown (Trek)…my Native Durangatang friend kindly offered to give me a fighting chance by turning the event into a “Pursuit” whereupon he would give me a 5-minute head start, “2.5 minutes because you did the ski race and 2.5 minutes because you’re older,” he said. I agreed… thinking maybe i could hold him off for one of the two laps of the 7.5k hill-infested course at 9,800′ to impress the crowd… well, as i was pushing my bike UP the 25% ‘Deadman’s Drop’ i sensed this virago whiz past me and in a flicker of an instant, TB HAMMERED UP Deadman’s, out of his saddle but on this bike, FLYING UP IT! never seen anything like that! oh, and…uh, that m(om)ent was at about 5-kilometers into the 15k’s! Hey, it’s Durango, right? Tis an honor to still be out there getting more and more Humble Pie the older i grow! 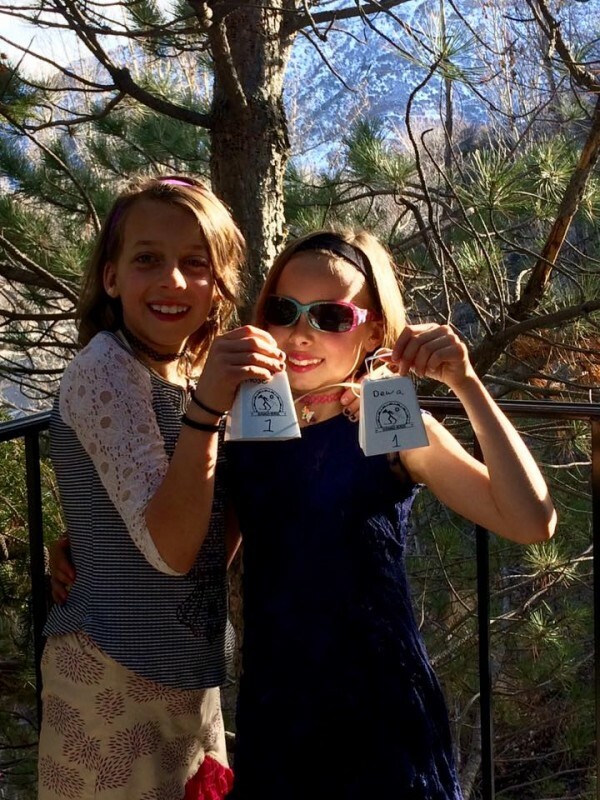 reckon Team Ilg captured 3 podiums yesterday, as Dewa TIED FOR FIRST with her BFF, Rose! 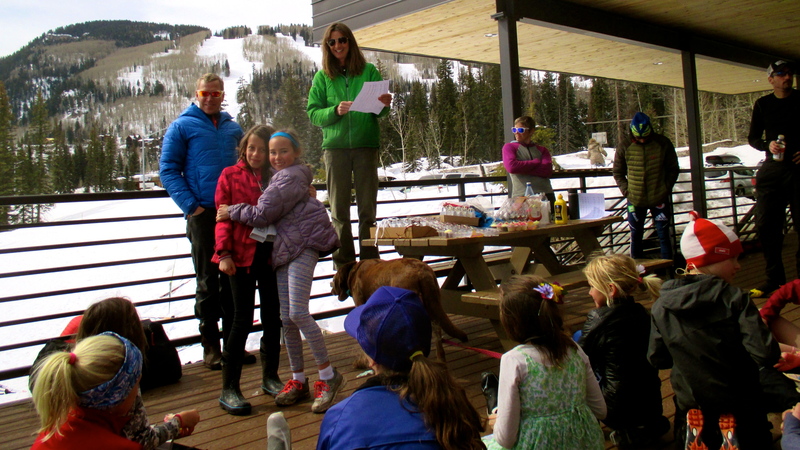 High Fives for Dewa and her BFF, Rose (photo left), who TIED for 1st in the 3-kilometer Nordic Skate race yesterday morning in the Under-10 Division! reckon if Wholistic Fitness® is in your blood?